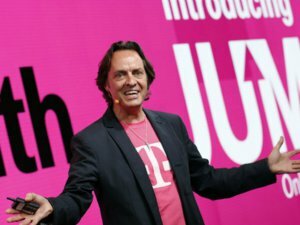 Apple launched Wi-Fi calling for the iPhone last fall as part of iOS 8, but at the time only T-Mobile chose to support the feature. More than six months later, Sprint is following suit and adding Wi-Fi calling support for the iPhone 6, 6 Plus, 5s, and 5c. Wi-Fi calling allows you to make phone calls using your carrier-issued number, but instead of going out over a cellular network the calls traverse the Internet via Wi-Fi. Sprint's Wi-Fi calling will also enable subscribers traveling overseas to make free calls back to the U.S. from more than 200 countries. Before Sprint subscribers can use the new feature they'll have to update their phones to iOS 8.3, which rolled out on Wednesday. Once that's done, they'll also have to wait for a carrier settings update from Sprint that is rolling out over the next few days. After all that, Wi-Fi calls from Sprint iPhones will be good to go. Why this matters: Wi-Fi calling matters more for budget carrier customers who have limited calling minutes every month. That's less important for major carrier subscribers as the big four are focusing more on data packages that include unlimited calling minutes. Nevertheless, there are times when Wi-Fi calling can come in handy, such as an office building with a weak cellular signal but all kinds of Wi-Fi, or in rural areas. T-Mobile and Sprint are the only major U.S. carriers supporting iOS 8 Wi-Fi calling at the moment, but the other two carriers are expected to get on board soon. AT&T is expected to introduce Wi-Fi calling in 2015, according to LightReading, while Verizon says it will support Wi-Fi calling "in the future." "Verizon Wireless plans to support Wi-Fi calling in the future. Verizon Wireless customers get unparalleled access to America's largest and most reliable 4G LTE network...Some carriers haven't made the investments in network coverage and capacity, and may need to utilize voice over Wi-Fi to cover their network gaps."